Have you ever been involved in direct sales? I’m not talking about a pyramid scheme; I’m talking about multi-level marketing which involves you developing relationships with people and selling directly to those people. My husband and I were involved in direct sales a few years ago and it was a great thing for us. We changed our lifestyle in some very healthy ways that we were able to maintain long term. 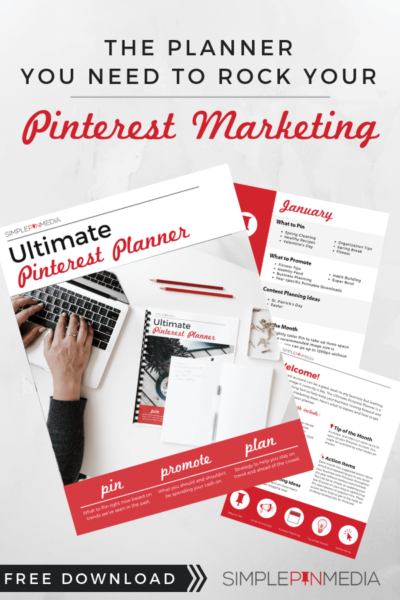 But how do you leverage the power of Pinterest for a direct sales business? I had a personal Pinterest page at the time that we were doing direct sales, and I am here to tell you that I wasn’t doing it right! I was putting up links to products on my page just so I could get credit if someone purchased the products. But I was missing the forest for the trees. The forest, in my case, was education. I wasn’t educating anyone on my products. I was just trying to sell them. That is the biggest problem that I see with direct sales. There is so much focus on how much money you can make that the more important aspects of the business tend to get neglected. But if you aren’t gifted at one-on-one sales, or you need a little extra help, what do you do? How do you build a loyal community of people around you who are interested in what you have to say using Pinterest for direct sales? That’s what I am hoping to help you with in today’s episode. I looked at several popular companies when researching this topic, and I will discuss a bit about each one in this show. Beach Body is best known for their 21 Day Fix. I have completed the 21 Day Fix myself, but I have never been a Beach Body coach. Now if you know anything at all about Beach Body, you know that there are different colored containers that you use to keep track of the food you eat. So I started looking for recipes that were designed to meet the color requirements for each day. I found a lot of really good information explaining the Beach Body system, as well as some sweet checklists that you can use to track your eating. The issue I have with this is that while you want to provide value to your readers, you also want to be building that email list. So instead of just having the printables there to download, lead them to your site and have them sign up for your email list in order to get the printable. This is how you begin to develop relationships with people. These same people will be the ones you can continue to talk to over time and they will become your loyal readers and followers. There are many essential oil companies in the marketplace now, so I simply researched “essential oils” instead of a specific brand. If you are a blogger and you blog about essential oils, be sure you are creating evergreen content. This should include recipes for using essential oils, such as — healthcare recipes, cleaning recipes, beauty care recipes, household use recipes, etc. There’s a plethora of ideas for creating essential oil recipes available. Again, you want to be collecting those emails in order to build your email list. Perhaps combining all of those recipes into a free ebook that you give to anyone who signs up for your email list is the perfect way to share your knowledge. Keep in mind that not everyone wants to go into the essential oil business. Some people truly just want to have a person that they trust to purchase their oils from. As you build those relationships with your readers, you can become that person for them. How can you leverage Pinterest with a direct sales clothing company? The two best examples I came across were infographics talking about the costs involved in the business or costs of the items sold through the company, AND charts that explained the company’s unique sizing method. My friend Angela of Frugal Living NW created a brilliant email opt in using the Adore Your Wardrobe course. Angela used the basics taught in this course to create a chart to help women figure out which LulaRoe pieces would work for their body type. She gave this chart away via a PDF printable when people signed up for her email list. When they attended one of her Facebook live sessions, they already knew which pieces would work for them and what they wanted to purchase. Another great idea I came across was LulaRoe consultants sharing images and information on how to wear the clothes. There are all sorts of tips and tricks to wearing their clothing. So demonstrating those and leading the reader to the Facebook group or the blog is a great way to develop those relationships. I did take a look at Advocare since I am well versed in their products. Those of you who are familiar with Advocare know that Spark is their flagship product, and I saw a lot of Spark recipes. Also, some of the folks selling Advocare didn’t necessarily have websites, but they did link to their Facebook page. It is perfectly fine to have a Facebook page and not a website for these kinds of sales. However, if you intend to go deeper and create more content, a website is going to be necessary at some point. The thing to remember is that you need to create a pinnable image. You can’t just throw up product pictures on Pinterest and expect to see results. You need a Pinterest friendly image, which means it is 735 x 1100. Just throwing up horizontal photos of your product line is not going to draw people in. Sell people on “why” they should investigate further. Answer their questions before they ask them. Why should they use essential oils? Why would they purchase LulaRoe when they can go to Nordstrom? Why should someone try Advocare when they can use Beach Body instead? You have to give the reader a reason to click through. You must provide the education. Link to your blog or your Facebook page, or your email sign-up page. Provide your readers with ongoing support. The 21 Day Fix is difficult, so give your customers the support they need to be able to continue the program. Communicate your willingness to be their coach, to support them through the process, and to provide continuing education. Create pinnable images. No slapping up horizontal product photos. Link your image to the correct page. If you have no link, people can’t go to your site! Have a business Pinterest account. It enables you to have access to analytics that can guide your efforts. Have you experienced success using Pinterest for direct sales businesses? Share in the comments below. Thanks for your thoughts on this subject. It gave me lots of ideas. 🙂 I haven’t seen any other bloggers post this kind of info. Thanks! This time also I’ve found very informative post. We know very well, Pinterest is making big waves in the world of social media. Pinterest is a great place for informal market research that can be used to develop better marketing programs. It is perfect for sharing and discussing images and videos, but to take that content to the next level of success. Eventually, thanks for sharing your wonderful experience with us.